Pharmaceuticals and personal care products (PPCP) are compounds with special physical and chemical properties that address the care of animal and human health. PPCP have been detected in surface water and wastewater in the ng/L to µg/L concentration range worldwide. PPCP ecotoxicity has been studied in a variety of organisms, and multiple methods have been used to assess the risk of PPCP in the environment to ecological health. 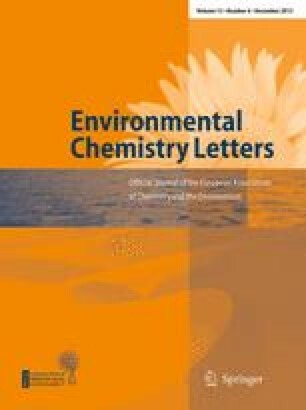 Here we review the occurrence, effects, and risk assessment of PPCP in aquatic systems, as well as the sustainability of current methods for managing PPCP contamination in aquatic systems. The major points are the following: (1) a number of PPCP present potential concerns at environmentally relevant concentrations. PPCP mixtures may produce synergistic toxicity. (2) Various methods have been used for the ecological risk assessment of PPCP in aquatic systems. There are similarities in these methods, but no consensus has emerged regarding best practices for the ecological risk assessment of these compounds. (3) Human health risk assessments of PPCP contamination in aquatic systems have generally indicated little cause for concern. However, there is a lack of information regarding whether antibiotic contamination in wastewater and aquatic systems could lead to an increase in clinically relevant antibiotic-resistant bacteria and antibiotic-resistant genes. (4) Over the next century, the combination of increasing global population size and potential droughts may result in reduced water availability, increased need for water reuse, and increasing concentrations of PPCP in wastewaters. The current wastewater treatment methods do not remove all PPCP effectively. This, coupled with the possibility that antibiotics may promote the development of antibiotic-resistant bacteria and antibiotic-resistant genes, leads to concerns about the sustainability of global water supplies. This study was partially funded by the National Institute of Environmental Health Sciences, Award No. P30ES023512.